A ws with tricky words or words aften confused by students. A member pointed out I didn't have #6 uploaded -so here it is. This downloadable teaching material is a great resource for high school students, elementary school students, adults and students with special educational needs, learning difficulties, e.g. dyslexia at Pre-intermediate (A2), Intermediate (B1) and Upper-intermediate (B2) level. 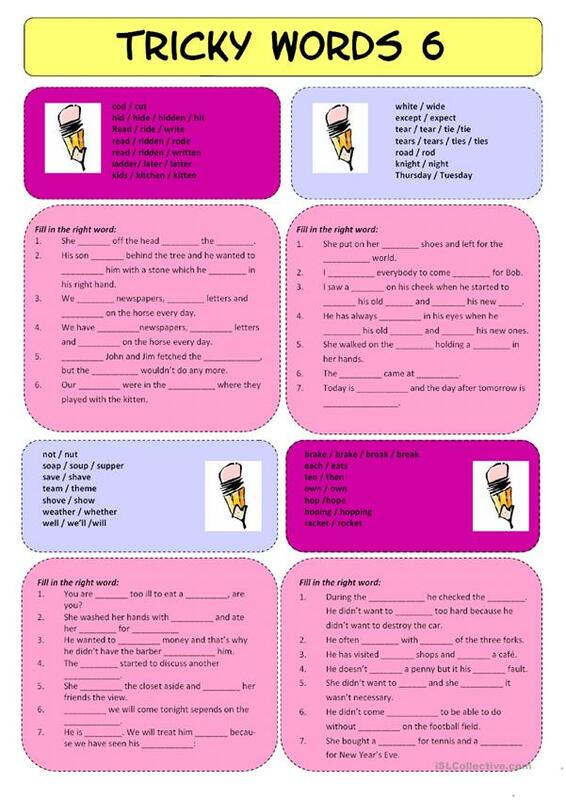 It is a valuable material for working on your groups' Reading and Writing skills.